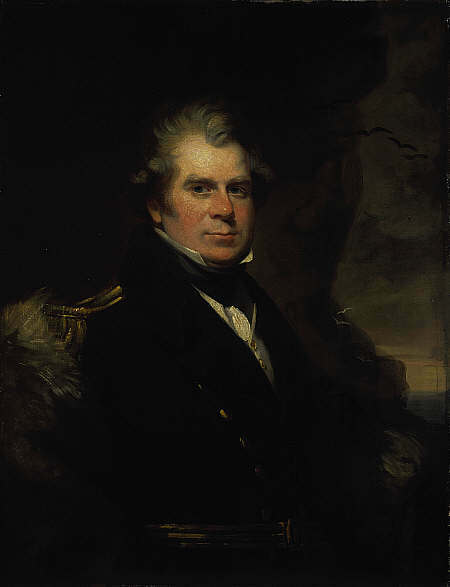 Born just outside of Stranraer, in southwest Scotland, John Ross was the fifth son of a minister. Stranraer, we should mention, is a place on the seaside, long known as a ferry port connecting Scotland with Ireland (Belfast). Though but nine years of age, John Ross was put aboard a ship, the Pearl, and on her, he spent the next three years in the Mediterranean. And so we come to the year, 1818. It was in this year that ships were sent to explore the islands off the north coast of North America. These ships (I am not sure under what flag) were the Isabella under the command of John Ross and the smaller of the two, the Alexander, under Lieutenant William Edward Parry.2 After crossing Baffin Bay the pair entered Lancaster Sound. (See Map.) 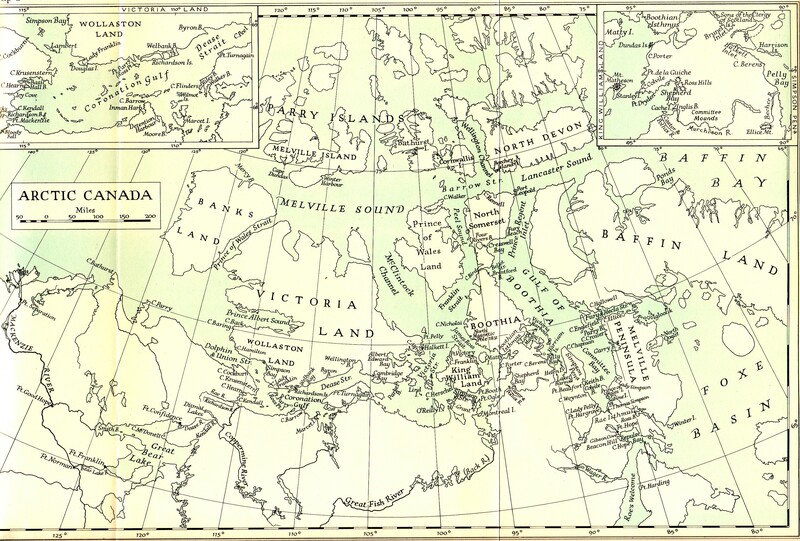 In 1818, not much was known about Lancaster Sound, other than it was a channel that went to the west, and west was the direction they wanted to go. John Ross, sailed some distance west but got discouraged and thought he saw mountains at the end of the strait. "Despite the protests of several of his officers, including Parry" who thought that a closer look was in order.3 Ross turned around and sailed back to England. It appears he continued to live under a cloud of criticism. 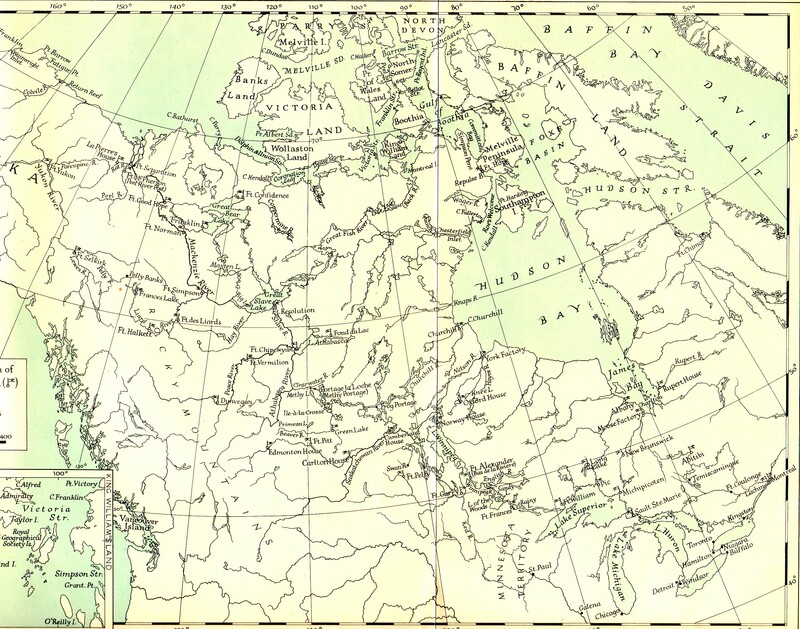 2 See Barrow, A Chronological History of Voyages into the Arctic Regions , p 366. It was usually a big disappointment to sail into a body of water that you think might bring you somewhere (called a sound, a strait, or channel - take your choice) rather than sailing in a closed-in bay (gulf), maybe a large one but which will leave you dead-ended. 6 London Correspondence Inward from Eden Colville, 1849-52 (London: The Hudson's Bay Record Society, 1956) p. xxiii. It would appear that this Isabella was this same ship as the Isabella that John Ross commanded fifteen years earlier, in 1818.